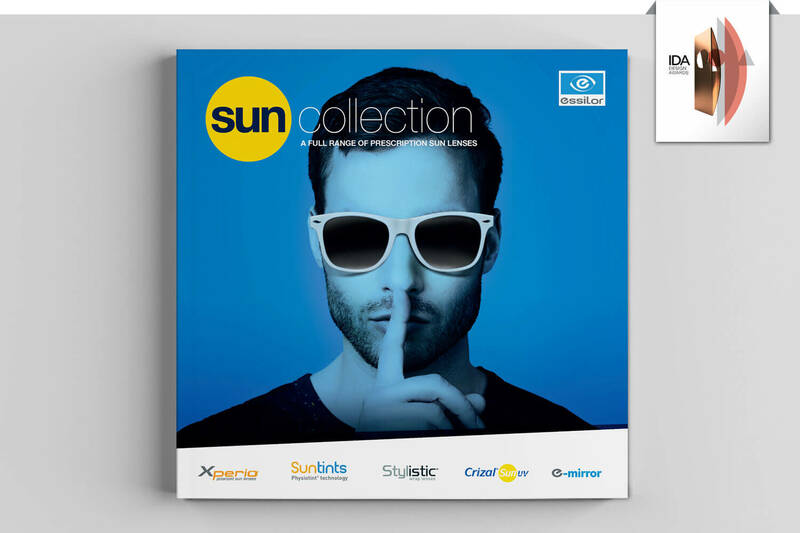 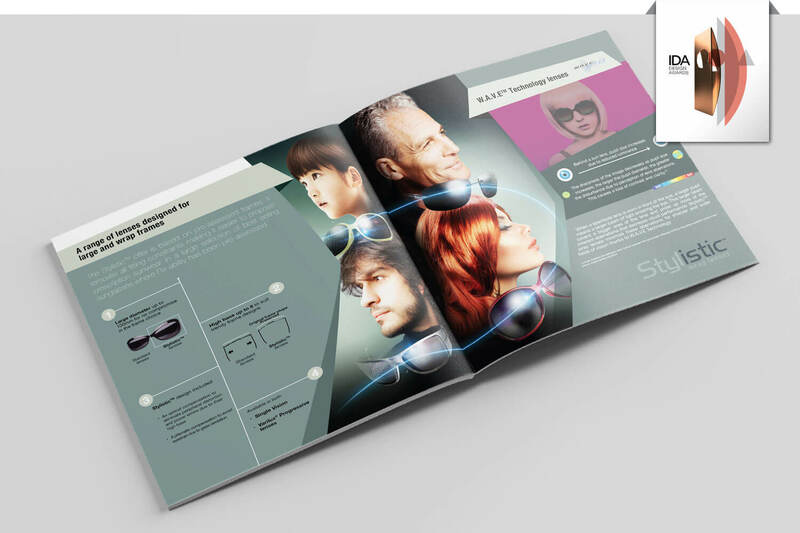 IDA 2016 Bronze Award – This brochure design for Sun Collection booklet contains a comprehensive range of prescription sun lenses that Essilor has to offer. 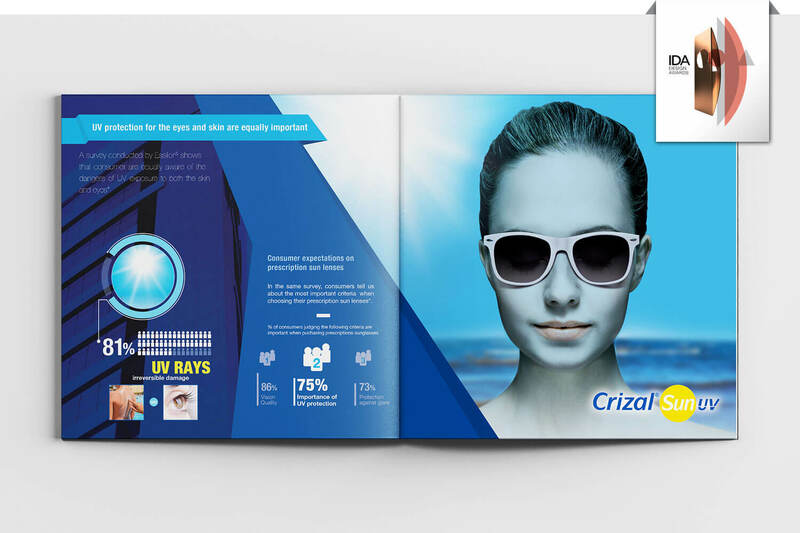 It is an effort to introduce retailers on the business opportunities they will obtain from offering prescription sun lenses to consumers. 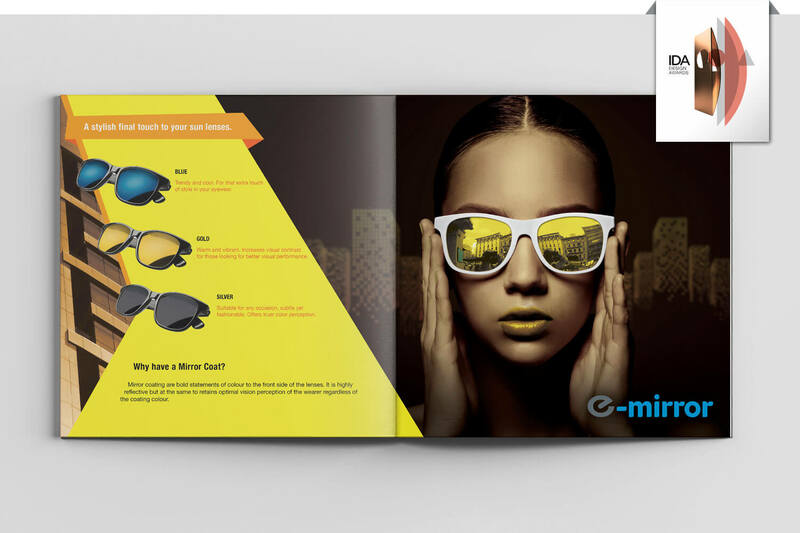 We venture into a daring concept by widely filling up the entire pages with robust colours and vivid images. 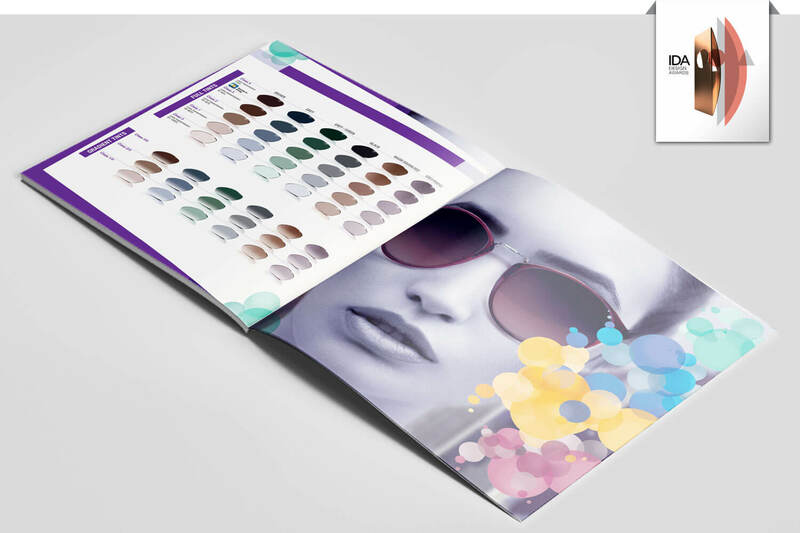 At the same time carefully incorporate all necessary aspects of respective brands to inline with Essilor corporate branding.